The International Monetary Fund, after a visit to the country in June, warned South Africa that its economy "is extremely vulnerable to external shocks and funding shortfalls." The Fund added that current political and domestic factors could exacerbate the situation, "especially if accompanied by further downgrades of local currency sovereign credit ratings to below investment grade." The Fund also said political uncertainty and instability would affect investor and business confidence. Hostile divisions within the ruling African National Congress (ANC), motivated by the contest to replace President Jacob Zuma have raised investor fears that government policy to promote socio-economic development and revive economic growth would be neglected. Against this backdrop, the impact of Africa's current economic status and future growth potential on infrastructure development will be deliberated during the 6th annual Infrastructure Africa Business Forum (IABF) at the Sandton Convention Centre on the 21st and 22nd of August. This event will be attended by prominent government officials, infrastructure experts and business professionals from across the continent. These participants will collaborate and discuss ways to advance infrastructure in the face of current socio-economic and political challenges - not only in the South Africa but within the whole of Africa. Youth are Africa's greatest asset. Africa's population is 1.2 billion and is projected to more than double by 2050, when it will make up one-fourth of the world's population. Africa will remain the world's youngest region, with the median age of the population under 25 years old. If properly harnessed, this growing working age population could drive Africa's economic transformation. Political and private sector leadership must focus on providing long-term opportunities for growth by building infrastructure that will support the growth of industries and job creation for future generations. 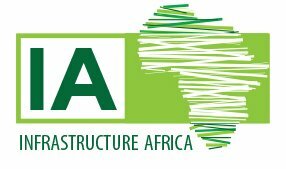 Africa's potential for development is huge and the IABF will play a crucial role in unlocking the potential for business development within infrastructure development across the continent as well as exploring valued trade partnerships with key investors such as those emerging from China.